In my work, I create many shell scripts which automate different procedures. 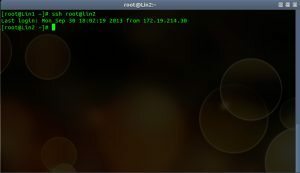 Sometimes, it is required that a script will be able to log into a remote machine and run some commands there or get files from the remote machine, so doing this “trick” will allow the script to log into the remote machine without the need to enter a password, this little auto login trick will save a great amount of time. 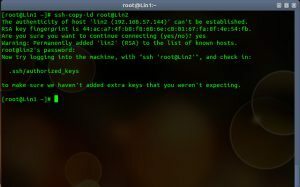 It is also convenient if you want to allow a user to log into a remote machine using root privileges without exposing root password to him. For the example I will use Lin1 and Lin2. 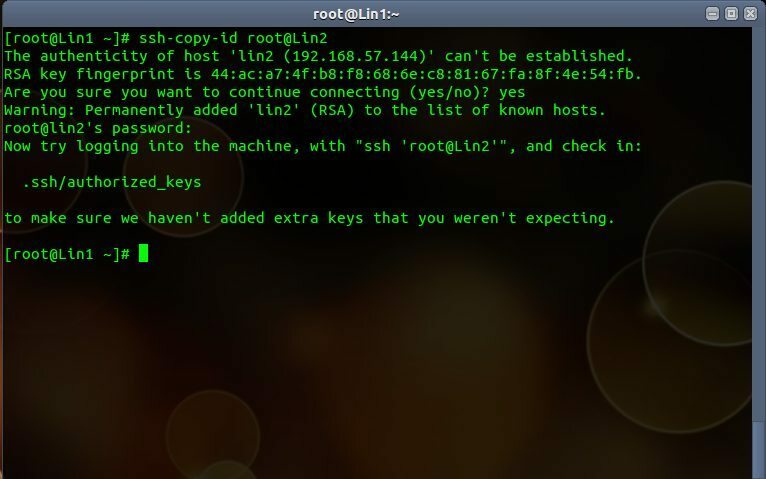 The previous command we ran generated public and private keys of the Lin1 machine. 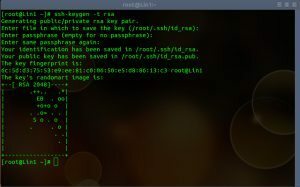 This command actually reads your rsa public key and sends it to the remote machine which is then added to the end of the file ~/.ssh/authorized_keys on the remote machine. 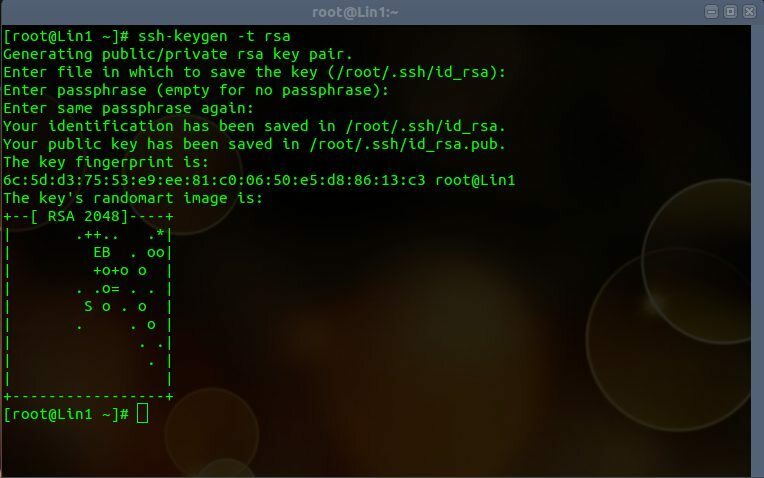 If for any reason you would like to undo this, you will have to log into the remote machine, edit ~/.ssh/authorized_keys , find the relevant line and delete it, then the machine will no longer know Lin1 machine. 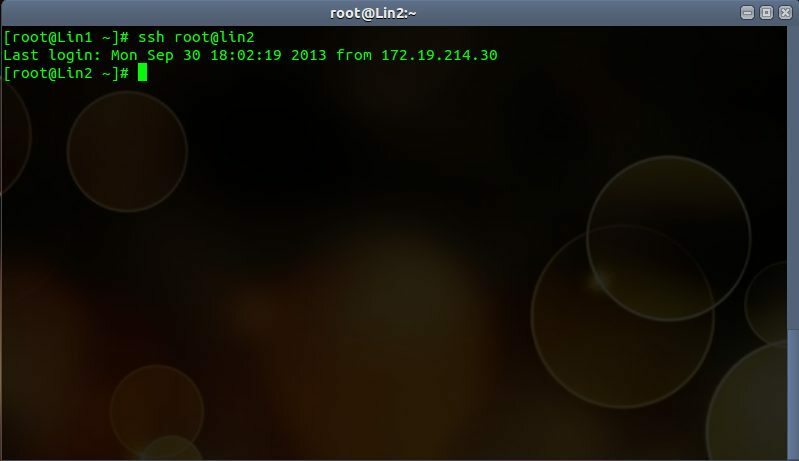 After running the command, we will be asked to supply the user’s password, in my case it was root’s password. This has been tested on Ubuntu and CentOS but it works on every Linux distribution.